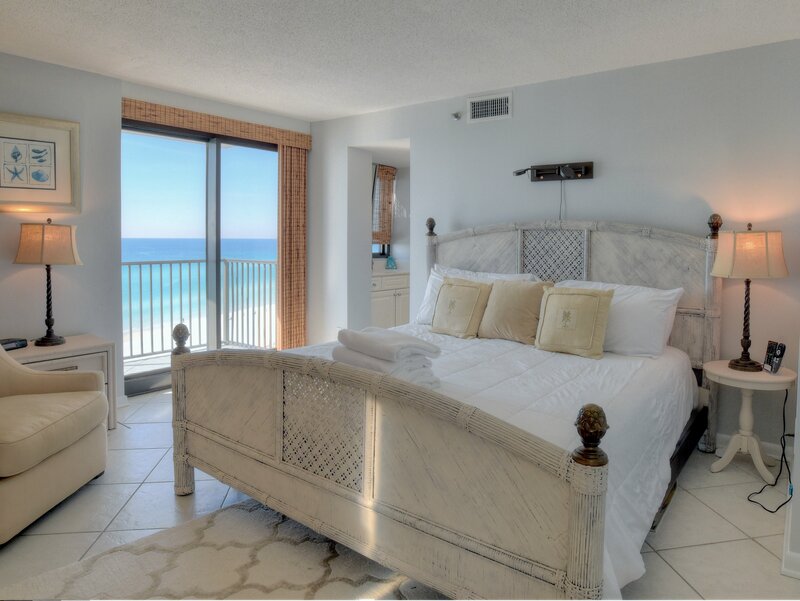 "HEAVEN IS HERE" in this gorgeous designer decor of this remarkable ocean front condo at the Sandestin Golf & Beach Resort -- Beachside One. 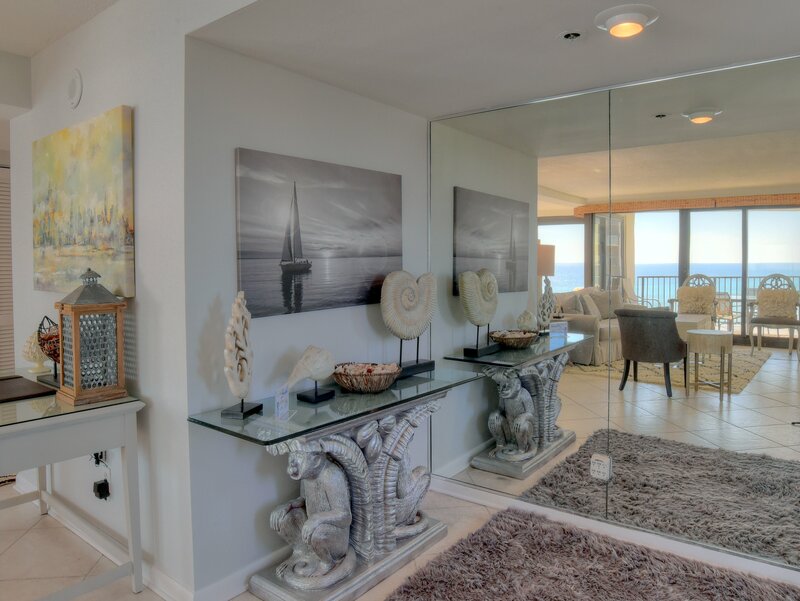 You will be greeted by wide open views of the spectacular Gulf of Mexico as you step inside. A spacious entry foyer that opens into the large living area with beautiful coastal decor that just brightens the room! Not to mention the 40" flat-screen TV. The condo is covered with beautiful 18" tile throughout. The balcony offers plenty of room for relaxing. 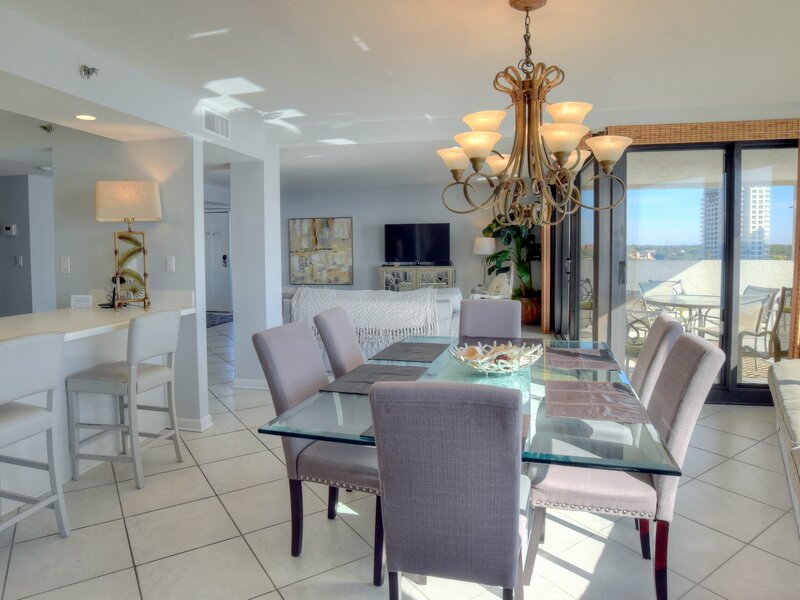 These same views can be seen from the spacious all-white kitchen and the spacious dining area with dining room table that seats 6 plus 3 bar stools at the kitchen counter and has a wonderful window seat that looks out over the aqua waters. 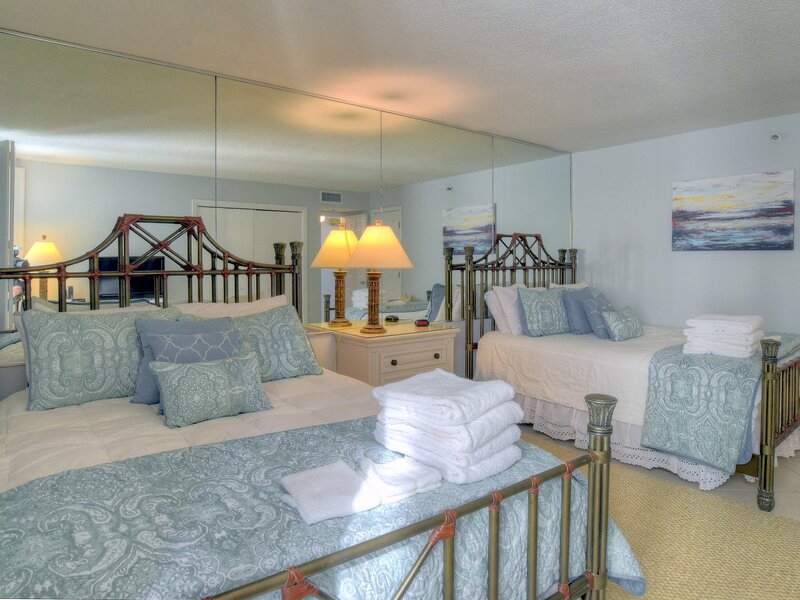 The master bedroom has a king size bed and a wall of windows that reflect the gulf views and a separate private balcony that directly faces the gulf front. 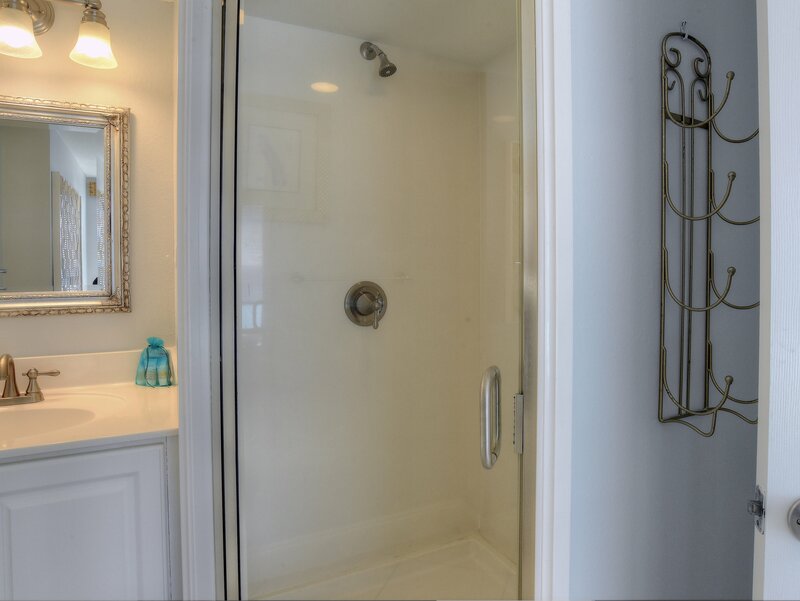 The master bath has a soaking tub with a gulf front window and a separate shower. 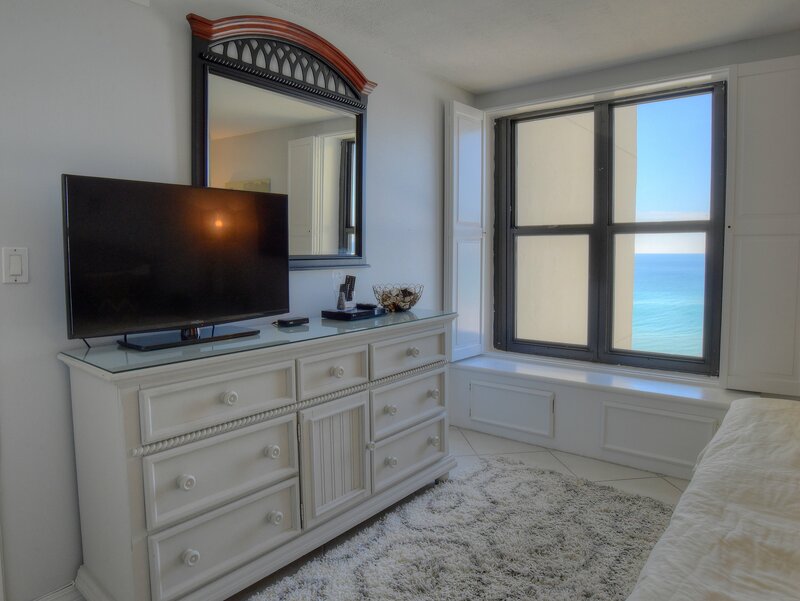 The second bedroom also has a king bed and gulf front views along with a TV and DVD player in an armoire. The third bedroom is much larger and has 2 queen size beds plus a TV and DVD player. The queen-sized sleeper-sofa in the living area provides extra sleeping accommodations. 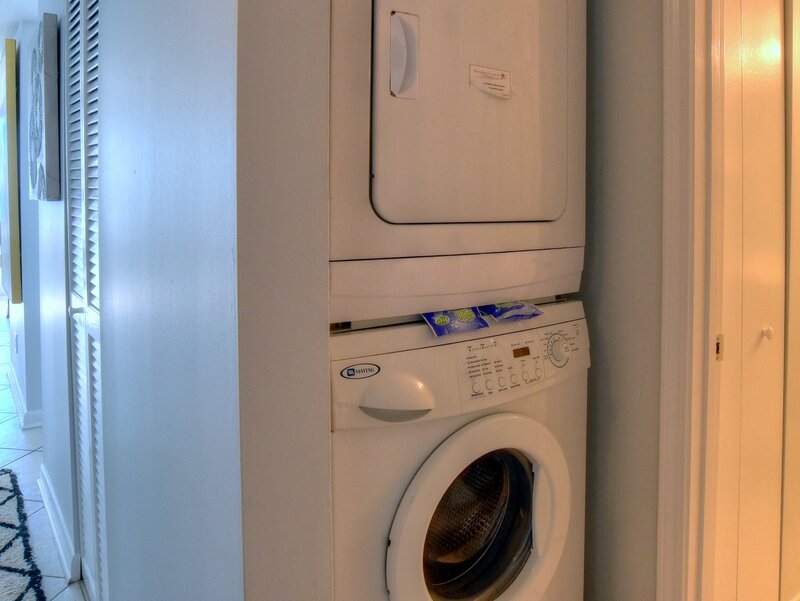 A washer and dryer provided for extra convenience. Beachside One sits directly on the beach just steps away along the beach boardwalk. 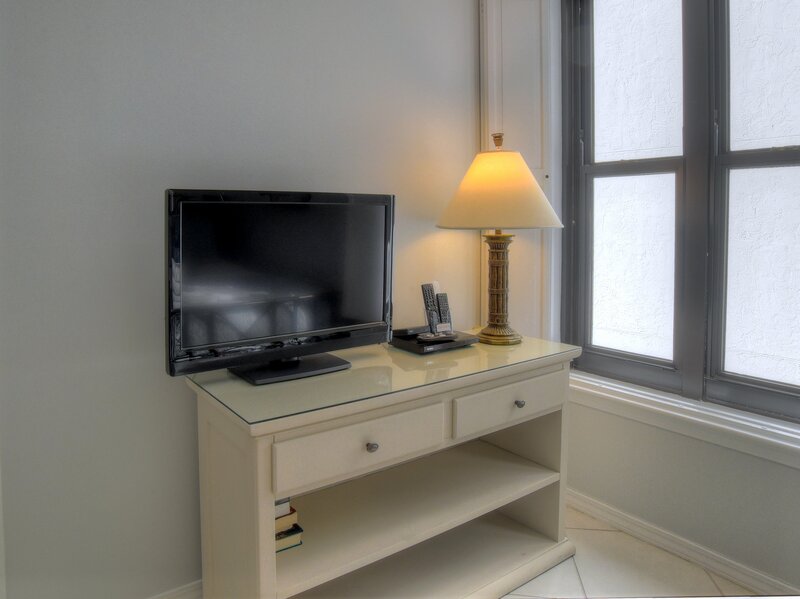 The building offers free WiFi, a seasonally-heated pool and an exercise room for all guests to enjoy. If you decide to venture out across the resort, free Shuttle is available! On those nights that you want to enjoy an evening out, the Village at Baytowne Wharf offers an array of restaurants from fine dining to pizza, sushi and more. Or catch the latest movie at Grand Boulevard at the new ten-screen cinema. The Baytowne Marina is a great way to spend an afternoon and enjoy lunch or catch a sunset. Sandestin's 2400 acres has over five miles of paved trails for jogging and bicycling, a nature walk area, three public golf courses and tennis courts for the tennis enthusiast. We have rented 4096 for 3 years. Every year we hoped for it to make changes to become a deluxe condo. It did not. The kitchen is very outdated and in poor condition. Dishwasher has several broken racks. The fridge ice maker freezes over. The dining room chair legs are scary and the window seat panel has been cracked for 3 years. Aaron tried to respond to all of our concerns We feel the owner has not kept up with necessary improvements. We appreciate your feedback and note that the owner does and did respond to your request during your stay. If the unit was unsatisfactory in the first 2 years , then we really wonder why you rebooked for the 3rd time and why you were interested in a 4th year in the same unit? The issues with appliances were resolved despite the fact it was not reported. This is a very lovely condo and guest should know that if there are issues, please report them to the office. We have a full time maintenance and housekeeping staff on property that promptly respond do any needs a guest may have. Reviewed on 2018-10-01 by Mary F.
View from condo was amazing. Condo very clean!! I would highly recommend unit 4096 to everyone. At the time of arrival none of the codes provided worked therefore we could not get into the property. Tried pushing the call button for assistance it didn&#x2019;t work. Called platinum customer service while sitting at the gate trying to get it and was unable to speak to anyone. Thankfully a tenant opened the exit gate and we enteredin thru the exit. The code provided for the unit worked (thank goodness). Headed to the beach trying to access the code and it doesn&#x2019;t work. A tenant provided us with a code that worked. I called platinum customer service and spoke to a gentleman for their answering service. Very nice gentleman. He informed me he has different codes on file from what I received in the link provided by them. The code did work for the gate entry into the property but the new gate code to the beach still did not work. We just continued to use the beach access code provided from another tenant. In all it worked out just a little frustrating when you&#x2019;re locked out and can not access anything. Other than that our stay was amazing. There are no words to describe our stay at 4096 Beachside 1 except amazing. The views were breath taking. Very clean. Had one minor issue with washing maching door closing, notified management and was fixed immediately. Will be booking this unit again for next trip to area. 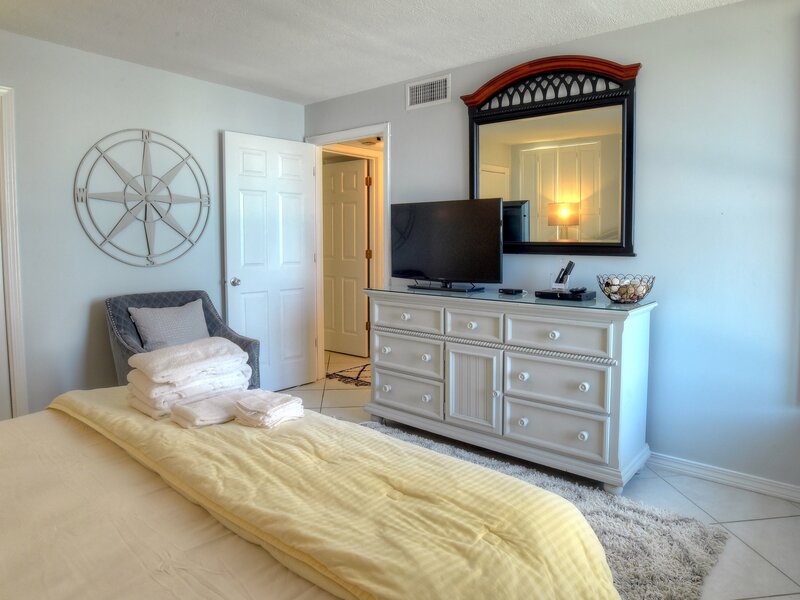 We were very pleased with our recent stay at 4096 Beachside One. 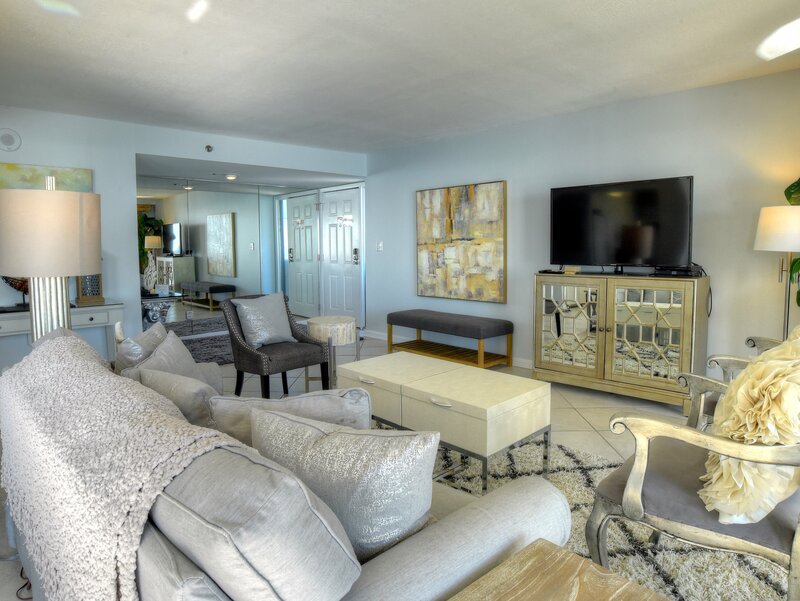 It is difficult to find an affordable property that is right on the beach and large enough to accommodate 4 adults and 4 children, but this place did just that. The views from the den, kitchen and master bedroom are amazing. 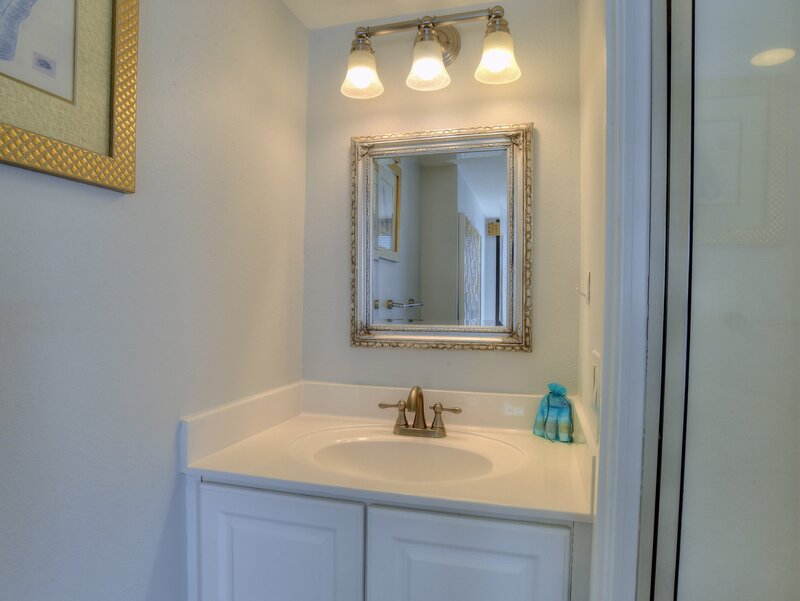 Overall, the property was clean and well maintained. We especially enjoyed the fact that we were right on the beach. It made for a very relaxing and enjoyable stay. One of the bedrooms had two king size beds so our teenagers could sleep comfortably and there was no need for anyone to sleep on the couch. Overall, this condo was a great selection for what we were looking for. If you are looking for something more luxurious, you may want to look in Rosemary Beach or Seaside, but then you will also pay more than twice as much minus the beautiful ocean views!!! It is so nice to know that you had a very relaxing and enjoyable vacation. We are glad you found everything comfortable and clean as such it should be. Our staff works hard to make sure guest have everything they need . The views are amazing and I agree about the economical price. Remember when you book directly with Platinum Vacations you will get a return guest discount. You will also avoid having to pay an extra service fee that the large 3rd party companies charge. Make sure to visit us on all social media for a chance to win our monthly giveaway. We hope to see you again in the near future. We loved our stay at Beachside One... we only had one problem when we arrived. The codes to the parking lot and beach gates had been changed prior to our arrival and we were not given them. We had to call after someone let us in and figure out what they were. The APP NEVER UPDATED THE CODES while we were there. The beach/pool bracelets were a bit obnoxious. The dryer door needs some work it was very hard to close and get it to lock. Great view. Beach was nice and not too crowded. 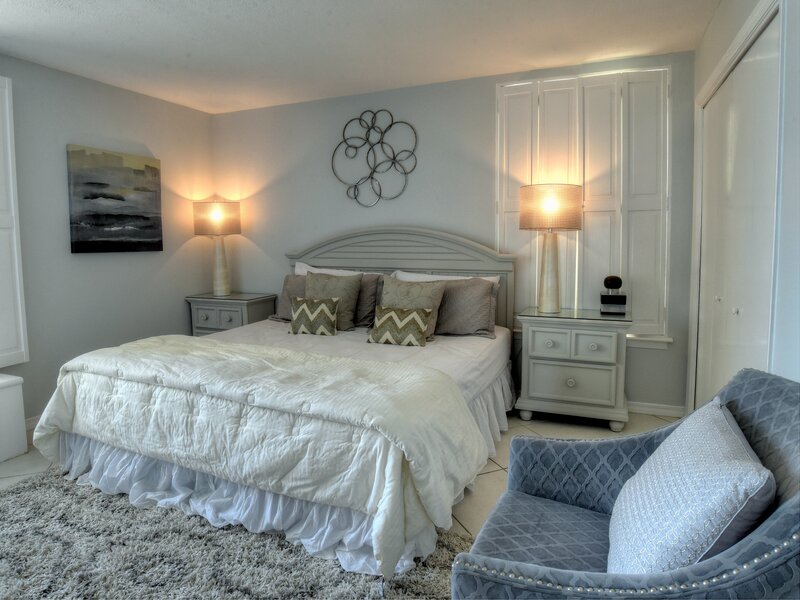 We thank you for sharing your thoughts about this lovely condo. I apologize you had issues with the parking lot gate code. The home owners association can change the codes from time to time and are not always quick to inform the management companies. I am glad we were able to assist you quickly in this situation. I agree the wrist bands are a nuisance however; they are in place so that only guest of Beachside I are allowed to use the amenities. People do from time to time come in off the beach and use the pool. This is how we can monitor who is suppose to be there verses someone who is authorized to do so. I will also have maintenance check out the dryer door. Thanks for the information.Please also remember that when you book with Platinum Vacations of Destin you save hundreds of dollars by not booking with a 3rd party company that charges an extra service fee. Often times we are running discounts that do not apply to these 3rd party companies. Please also follow us on all social media to sign up for our monthly giveaway! Our condo at 4096 beachside One was perfect for us. Great location, great views, friendly people. We are so pleased that you enjoyed your stay in this lovely condo. 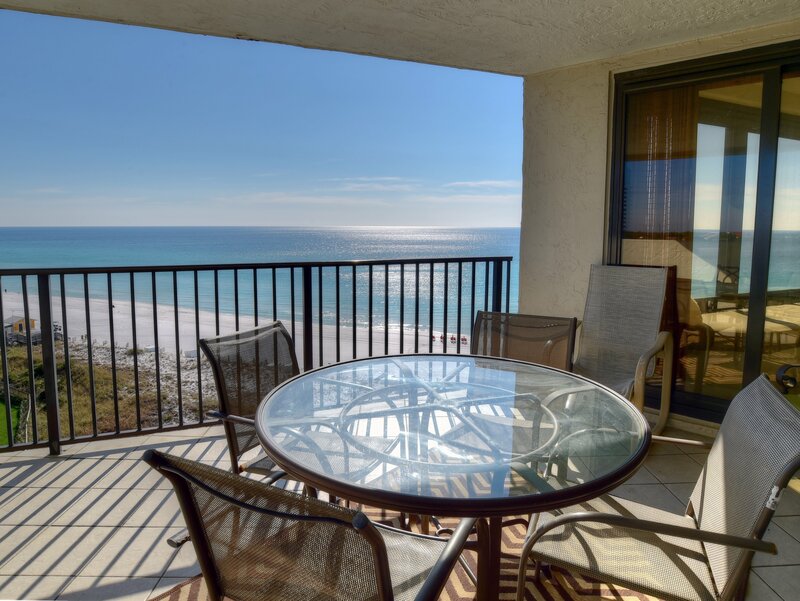 The views are amazing and the condo has everything you need for a perfect family vacation . We hope you come back soon. All returning guest get a 5% repeat guest discount. Also, make sure to book directly with Platinum Vacations of Destin to avoid additional service fees. Make sure to tell all your friends! Great location, nice condo. Would recommend! Easy experience. Location is perfect. Clean rental. The condo is very spacious, great view and easy access to the beach. Decor is nice and updated. Their were a few things that need repair, hole in the ceiling above the guest shower, large window in dining area needs window covering. Looks like it had them and were taken down, causes room to get warm in the afternoon. Kitchen also has sugar ants. Kimberly, Thank you for sharing your thoughts. 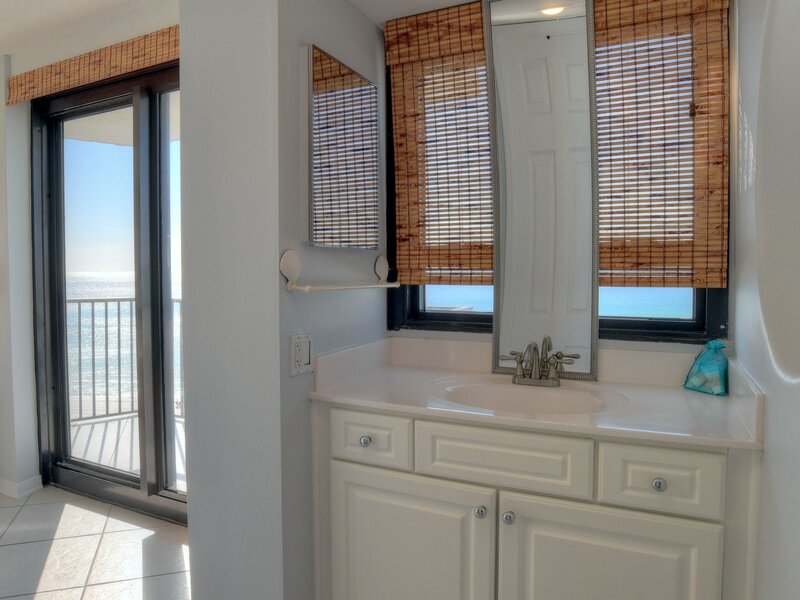 I agree, this unit is incredibly spacious and offers great views of the beach. You will be happy to know that the owner has just begun with some repairs and will painting throughout to match the updated decor. I expect the unit will look fantastic when done. We thank you for choosing Platinum Vacations for your travel plans and would love to have you stay with us again. We do offer a 10% discount to all returning guests and you can also follow us on all social media outlets (facebook, Instagram & Twitter) for chances to win our monthly giveaways and stay informed about any and all Platinum specials. Reviewed on 2017-10-02 by Mary F.
The property location is perfect. Easy access to the beach and pool and beautiful views. Although it did not affect our stay, the condo does need some maintenance. The second bath in particular. There are holes in the ceiling in the dining and bath. The dining table chairs feel very unsteady and the legs need tightening or replaced. I also felt like one of the cabinets in the kitchen should be empty for groceries. As I said previously, these things did not impact our stay in general. Hi Mary, Thank you for sharing your thoughts regarding the condition of the unit and I'm glad you were able to enjoy your stay. The owner has just begun to make some updates on this unit now that we are in the slower season. We thank you for choosing Platinum Vacations for your travel plans and offer a 10% discount to all returning guests. My friends rented Beachside I unit 4096 in Sept. 2017. 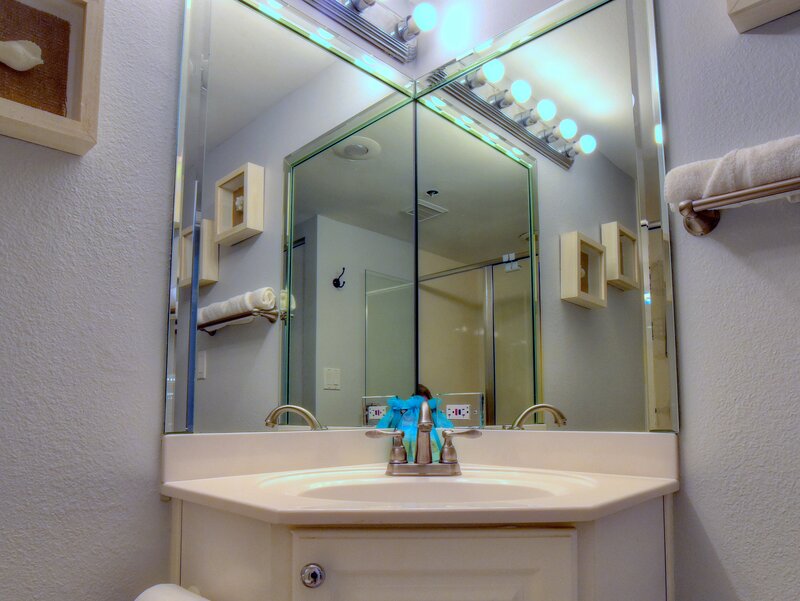 When we arrived the sliding doors would not open (stuck), ice maker did not work, toilet in second bath would not flush, master bath sink would not drain and other problems. Maintenance showed up and fixed most issues. We paid a lot for 4 nights and felt the condo was old and needs much updating by owner. Kitchen sink and tile throughout was severely worn. 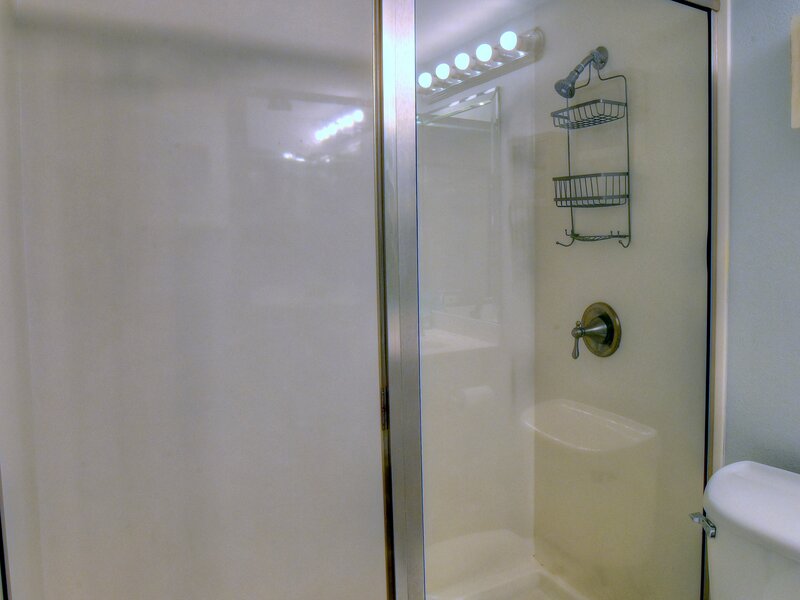 Pictures on vrbo do not show that the condo needs work. Bottom line is we paid for a condo that was tired and old. Not what we expected. 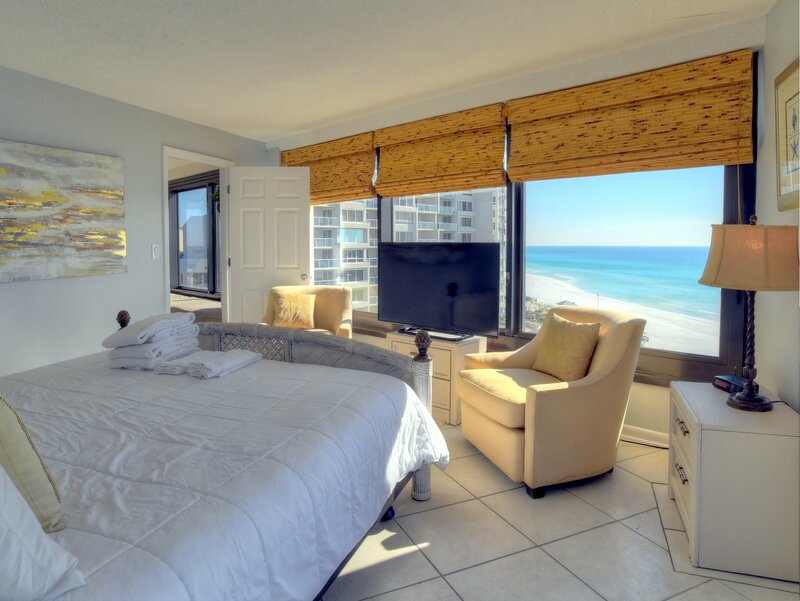 I enjoyed San Destin Resort but would not stay in that unit again. Hi Cindy, First we would like to thank you for choosing Platinum Vacations for your travel plans. Thank you for sharing your thoughts regarding this unit. I have passed them onto the owner and you will be happy to hear that the owner is midst of doing some updates now. This is the absolute perfect location. Great views. Easy access to beach and pool. Central location. Overall great. We were disappointed with the cleanliness of the unit. Couldn't use dryer as it was full on the inside of lint. Very dusty all over the unit. Overall, it did what we needed it to do. Hi Melissa, I'm happy to hear that overall, it sounds like you had a good vacation. I wish we would've known that you felt the cleanliness was unsatisfactory. 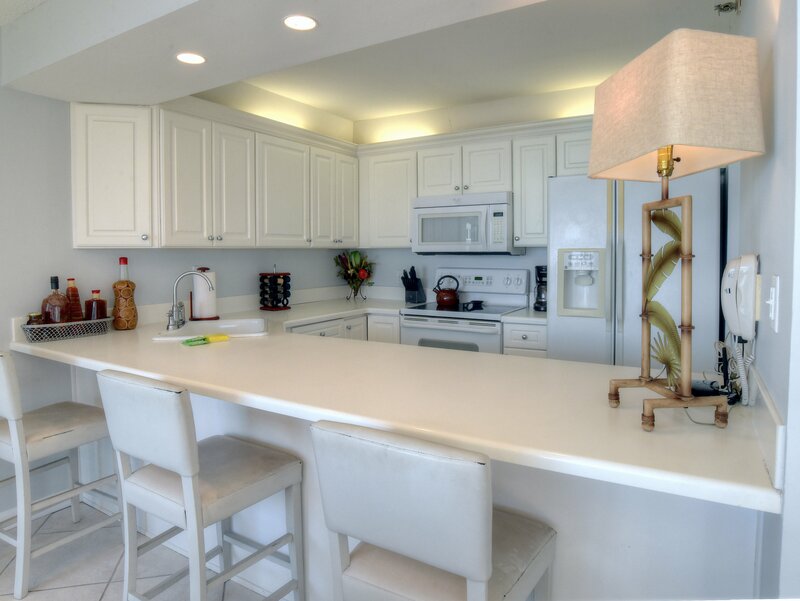 We take pride in our vacation rentals and would have definitely sent the cleaners back over. Please, in the future, be sure to let us know if you are not satisfied and we will surely address any issue immediately. Nice condo potential. Good view ocean one side then trashy terraces on the other side. Black mold ceiling of master shower. Had to unstop sink master bath. Washer and drier partially functional. Doors off washer closet. Garabage disposal not working. Security person a jerk,needs hospitality training. Definitely not a platinum place. Very enjoyable and loved it! Our overall experience was good. We had one issue but it was taken care of promptly and w/ apology. The Condo has great views, was clean, easy access to the beach and pool. Felt very safe there with my kids, no problems at all with the Condo. I was even able to go ahead and get in early since we arrived earlier in the day. The whole week was awesome!! How we love to hear these words! 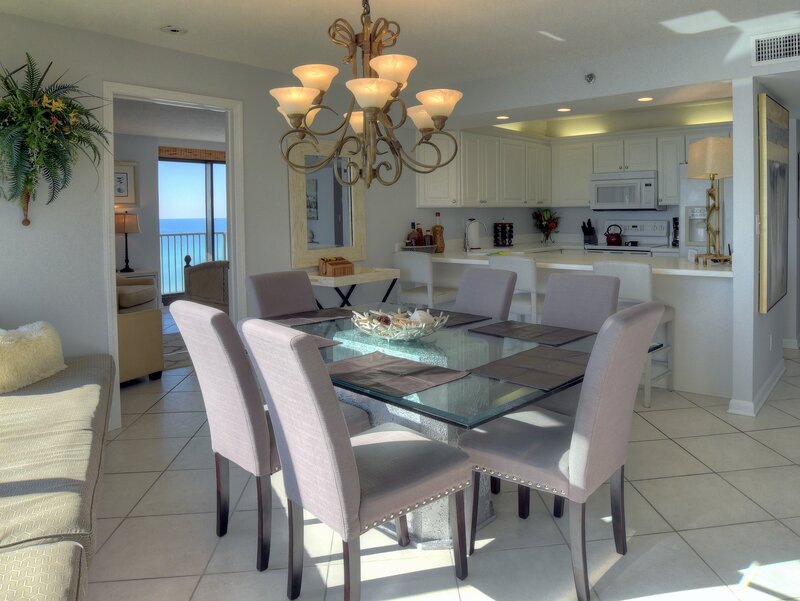 Thanks so much for sharing your memorable experience at this fantastic gulf front condo. It takes a village to prepare for the type of experience you enjoyed and I will applaud our staff. Also, the next time you make your vacation plans, remember you will get a 10% off discount as a Platinum Services repeat guest. We hope to hear from you soon. Overall it's a nice place in a good location. The condo is as it appears in the photographs. The furnishings are very nice and well maintained - I especially appreciated the comfortable chairs on the balconies. <br/>The building is in the middle of SanDestin and surrounded by other large buildings. It may not bother most people but I found the large crowds of people who were there during our visit to be a little bothersome. Every morning the guys renting beach chairs & umbrellas (at an insane rental rate) set up long row after row of chairs making the hoards of people who drifted down there elbow-to-elbow. Not very relaxing for me. In the evenings the gate-secured parking lot was full and some cars parked on the grass and medians. 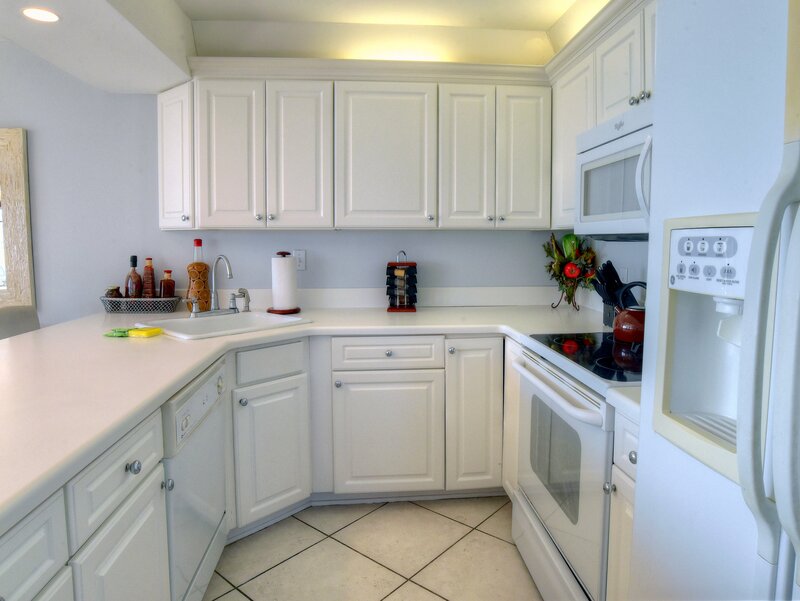 During a less-busy time none of this would be an issue.<br/><br/>The condo was stocked exactly as described. There were lots of nice, thick towels, though the bedsheets were 'economy'. Everyone in our party reported their beds were hard... I supposed that is a matter of personal preference.<br/><br/>There are a handful of aesthetic flaws that you may notice: chipped paint, CATV wires run along the walls rather than fished inside the walls, missing outlet cover, etc. Nothing functional, but things that could have been fixed with a little expense and effort. Regarding the construction of the building: 1) sound transmits unimpeded from floor to floor. 2) There is a maddening shortage of electrical outlets necessitating the running of extension cords. I'd recommend that the owners put some power strips in the place... this was pretty frustrating.<br/><br/>Overall it's a nice place. I would rent this unit again if it were in a less-crowded location. We are very pleased that your overall experience is a good one. This has truly been one of our guest favorite locations at the resort. We will take you up on your suggestion of a few more power cords. This condo complex is an older one at the resort thus it is very spacious compared to other condo locations however; when being built they did not anticipate the technology boom where many need more outlets to charge computers, phones, lap tops, etc. We will look into adding a few more outlets so that everyone can charge up! Please keep in mind that the next time you plan a vacation with Platinum Services you will receive a 10% discount. This applies to any of the properties Platinum Services manages at the resort. We hope you can make arrangement to visit again soon. We had a great family vacation in this beachside condo. The property was easy to access, clean, well furnished and a perfect location. Great views and the accommodations were excellent. Coordination was easy and professional and the other people staying there were friendly. Everything worked out perfectly and we definitely want to come back. I'm happy to hear that you not only enjoyed your stay at our condo, but that you also had a great family vacation! It's always nice to be able to kick back and spend quality time with family, especially at the beach :) Thank you for choosing Platinum Vacations of Destin for your vacation plans! We look forward to next time! We had a wonderful time while staying in 4096 Beachside One. Great location, well equipped, nice furnishings. I would recommend staying at this location. Hope to come back again!! So thrilled you enjoyed your stay . I will share with the owner that you commented on the furniture. Its always nice to hear a great memory was made in one of our units. Remember if you come back and stay in any of our units you will get a 10% returning guest discount. We would love to have stay with again. Great view filled with morning sun! Roomy accommodations. Nice accents made it feel like home. Has real potential to be perfect with some kitchen and guest bath TLC. Needs paint job but agent assured us this is all in the works. We stay for the winter and hosted several gatherings. Everyone loved the ambience. 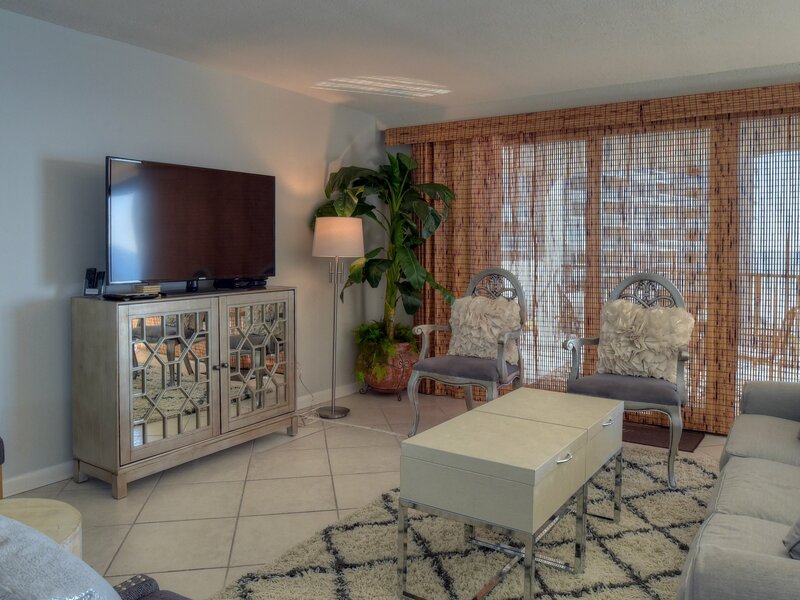 Loved this condo and Platinum Vacations! It was even prettier than the pictures! 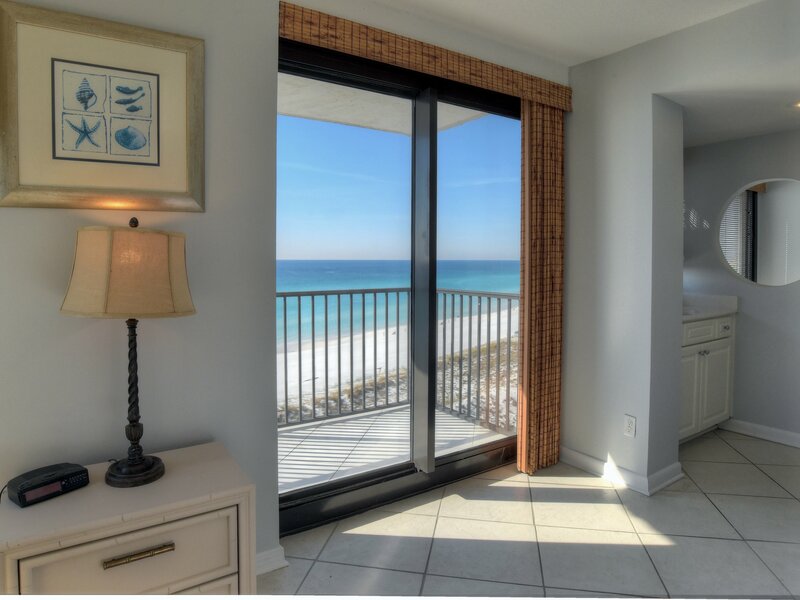 I have stayed all over Destin and 30A and used many rental companies... Platinum was top notch service ! Will stay here AGAIN! Reviewed on 2016-10-25 by Howard C.
The condo was nice! The view was breathtaking! We will defiantly come back again! Loved it! Perfect for our group, plantium ( Grace in particular ) was over the top. 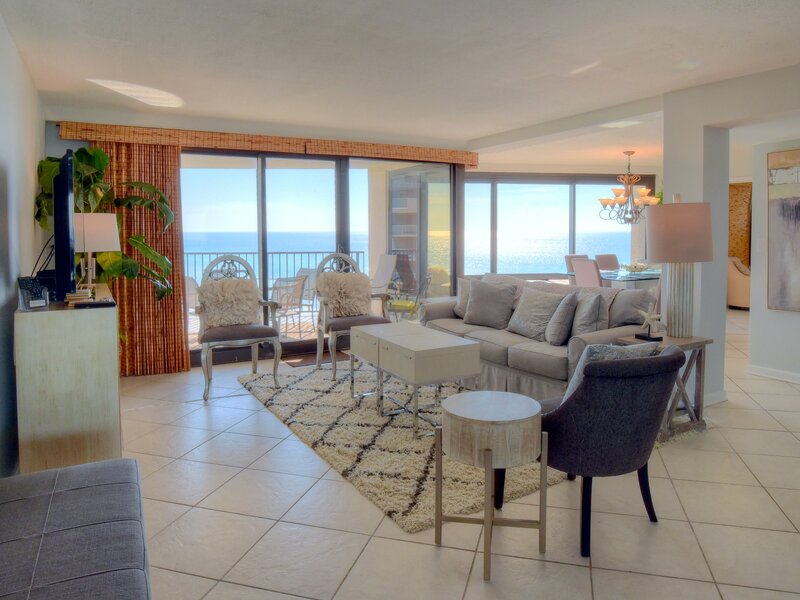 We had a wonderful stay at 4096 Beachside One. The property was clean and well maintained. Beautifully decorated and furnished. Nice place. Fast elevators! Big problems with wi-fi availability if that is important to you. The location and views were great. We were very disappointed in the condition of the condo. The unit needs a good cleaning from top to bottom and it also is in need of a paint job. 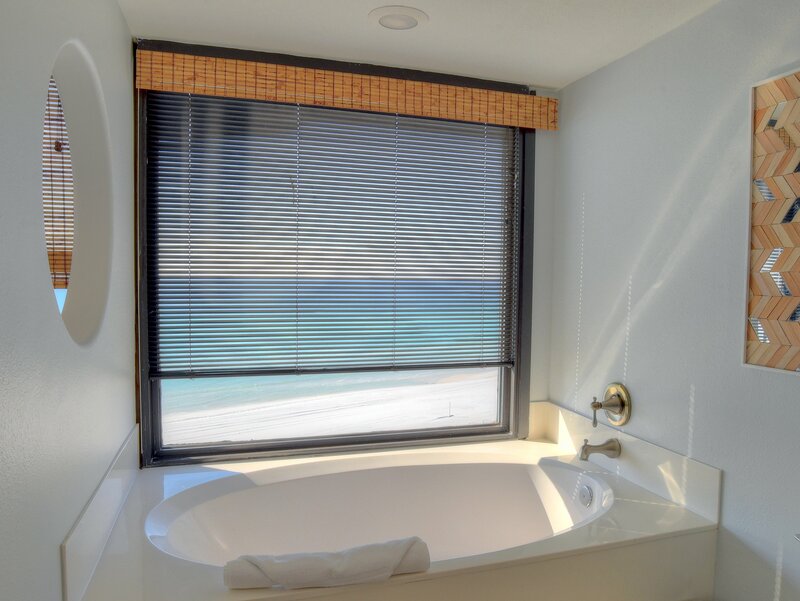 The mini-blinds in the master bath were full of dust. The kitchen was small and lacked the necessary cookware for everyday needs. The water pressure was very low. The dryer vent kept falling into the drum of the dryer. The Wi-Fi was very spotty the entire week. The management company was very friendly and tried their best to address our Wi-Fi issues as quickly as possible. Beautiful Property but room needs improvements. We really enjoyed the property and view of our room. The major suggestions I have are. The living area only has a 3 sit sofa and two chairs. The chairs are beautiful but not comfortable or usable. Therefore, if you are a family over 3 I would not even look at this room. One room had no lighting and you couldn't see any thing. No natural light in it either. . Also, the washer was not working properly. Finally, the table is glass and walking out of master you run into it because of a small table that is cute but not usable and should be removed. The small bathroom has a extra Odor and all 4 of my kids hated it. I have rented this property for many years and have always been happy with my experience. The dryer did not work, but the property management was very helpful, allowing me to use a washer/dryer in another unit in the building. The shower doors in both bathrooms did not open or close properly, but the maintenance man attempted to fix the problems. This condo was perfect. Plenty of room. Right on the beach. We were all very satisfied with the place we chose to stay. We will definitely try to stay here again next year. Gorgeous views from this condo! We absolutely loved this condo! The views were amazing. 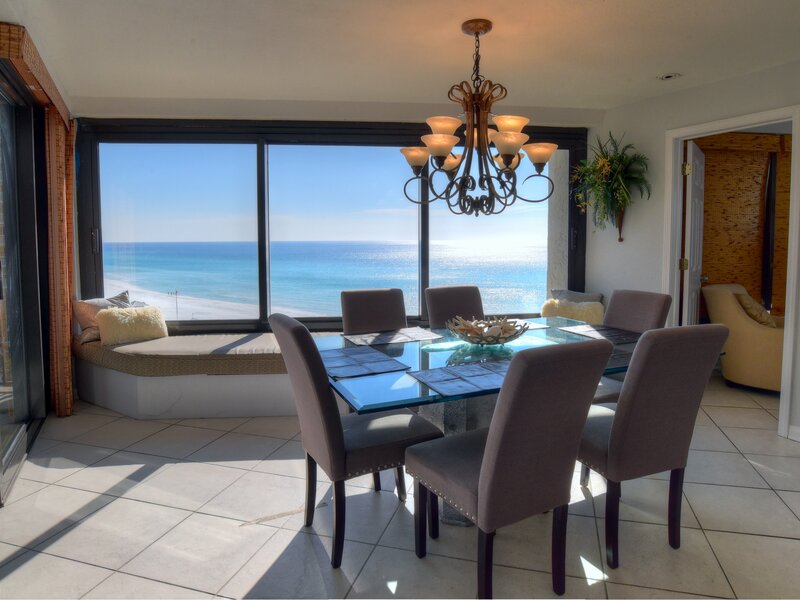 We have stayed in many condos in Sandestin but this one was our favorite. We will definitely stay here again. The condo was clean and beautifully decorated. Only a couple of negative comments, the dishwasher would not start and the dryer kept telling us to clean out the lint and turning off even after we cleaned it out. We do not think those things took away from our experience though. You will love your stay here and you will love the view! We loved going over to Baytowne Wharf for breakfast at Another Broken Egg and dinner at Hammerheads. We had teenagers with us on the trip and they kept busy then entire week playing basketball, parasailing, hot tub, heated pool and all the beach activities. It was a wonderful week! Great location with an awesome view. Nicely furnished and clean. One of the best units I've ever rented. great reunion with family - celebrated two babies being delivered this year - enjoyed spending time with two sisters and extended families from Texas and GA.<br/>My niece set up location and Beachside One rental. We then chose with unit we all wanted to rent. This unit was great - large enough for nightly dinners hosting with plenty of seating for up to 25 family members. Beautiful View, perfect for our family. Friendly staff, easy access to beach and swimming pools. 5/5 stars - great place. Only downsides (which are insignificant) quirky layout in the master bath. DVD players were a challenge to get going and never found a broom - these were so minor its hardly worth mentioning - view is awesome, property is awesome, everything was better than the ad so no issue there. Excellent. The property was great the unit had a couple of issues. The ice Maker did not work properly. The ice maker did make ice but the dispenser did not work. The dryer kept shutting down with the message that the lint trap was full. We cleaned the lint trap several times but the dryer kept shutting down. The blinds in the master bath above the bathtub are broken. The slats are bent and the variable open/closed adjustment does not work. This is our third time staying in the Beachside Condos. This unit was the best by far! 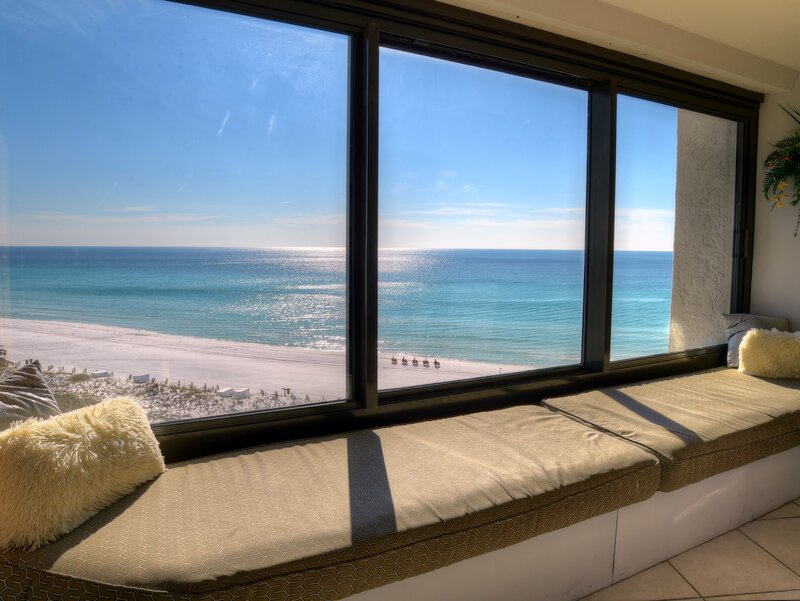 Amazing views, comfortable furniture, and plenty of space. The people at Platinum services are friendly and helpful. I would definitely stay here again and recommend it to a friend. Very clean unit. Private entrance with many on site amenities. Great view. Beautiful balcony. Comfy clean beds. Washer and dryer in unit so helpful. We had a wonderful time staying at this beautiful condo. It was very clean and spacious, and the views of the gulf were amazing. The condo was all we had hoped it would be and more. We love Sandestin!!! It was very nice. Needs updating inside condo. Had to call a couple of times for mold issue in bathroom. Lamp shade crumbled when maintenance man moved it. He was very helpful though. We thoroughly enjoyed our stay. Very nice condo with nice features. The condo was excellent and the view was spectacular. The location was great. The view was nice.The day before we left Platinum Services called me to see about what time we would be arriving. I told her 3:00 which is their check in time. We arrived at that time and went to the service to check in. They told me not ready yet. I called later and a guy said he would check and call me right back. 30 minutes later he still had not called. So we went back. It wasn't until 4:45 before we had keys. My son who was at the area, looked into the window and it was cleaned. So I believe the inspector was late checking it. Then I called on Wednesday to see if we could get more face cloths because we had nine of us and we only had 6 washcloths. Washed a lot.The rep. said it's only for 8 people not 9 and asked if we were using an air mattress or something. I said the 9th was an 8th month old and we brought a bed for her. Not, I'm sorry you don't have enough wash cloths. She said her housekeeping supervisor was gone for the day and she would have to get back to me. I didn't not feel like waiting on a phone call for my vacation. So, I told her never mind I would buy facecloths and bring them home, which is what I did. I felt she didn't care about the amenities, like face cloths, just that we had 9 people instead of 8, which included 4 children. The louvered door to the washer and dryer needed to be repaired. So, we had to leave it open and then squeeze by it to get to the main bathroom. There was old mold or mildew under the window seat. The cabinet door to the pots was broken, so you had to be careful when opening, for it not to come off the 1 hinge that was still on there. I went into another condo there and it was a lot nicer. Made the same but more open. The lock box with the key was hard to put back in place, which you had to leave the key in there in case maintenance had to come in. Our company is grateful to receive constructive criticism so that we can improve not only our properties, but communication between our staff members and our guests. In our effort to keep in touch with our guests especially during peak season , Platinum Services contacts our guests prior to arrival to confirm our check in policy which, as stated on our guest agreement, begins at 3pm and can be as late as 5pm, provided the property is cleaned, inspected and there are no maintenance issues. When the guest reported maintenance issues, it was suggested that we send a maintenance supervisor to attend to the issues, but was told that they did not want to be disturbed during their stay but just wanted to let us to know about them. The statement that we only supply towels for the number of people in the property was somehow misunderstood. It is a fact that there is a standard number of linens supplied, but a supply of additional towels was offered with a slight delay since the housekeeping manager had left for the day and we would find someone else to bring them; at that point, the guest graciously said not to bother and would purchase some of her own. Although it is appreciated to receive a detailed report of the guests' unpleasant experience, we are truly sorry that any of it occurred. Excellent location and the unit has plenty of room for six adults and two children! Overall the condo was very nice and the location in the complex was great with a terrific view. We had a great time . Some minor maintenance details that could be taken care of: shower door in main bath does not close properly and light above the cooktop in kitchen is out. We were happy with the rental.